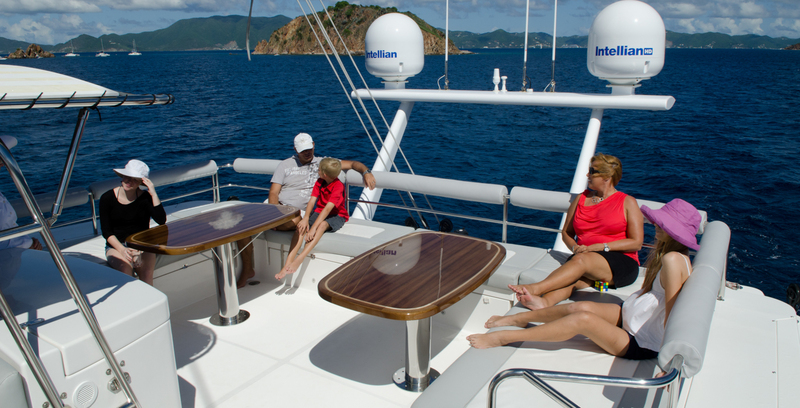 Catamaran Yacht Charters are a popular choice for an all-inclusive fun-filled family vacation or a “Big Chill” getaway week with friends. 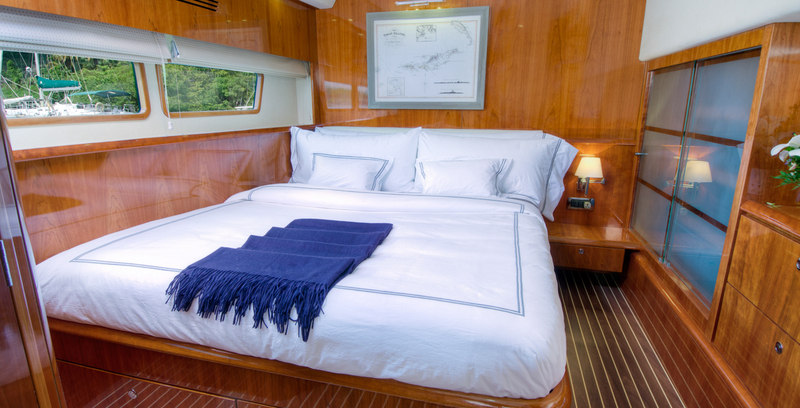 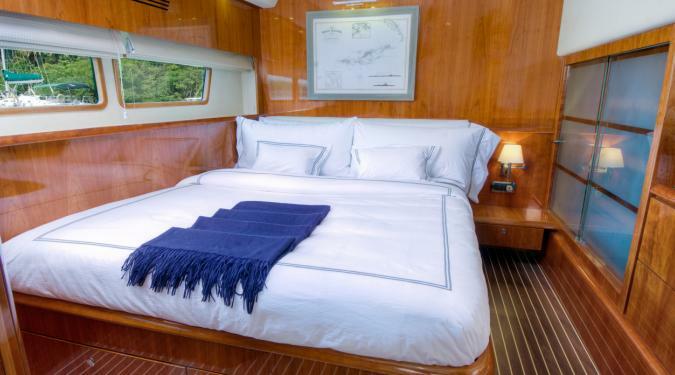 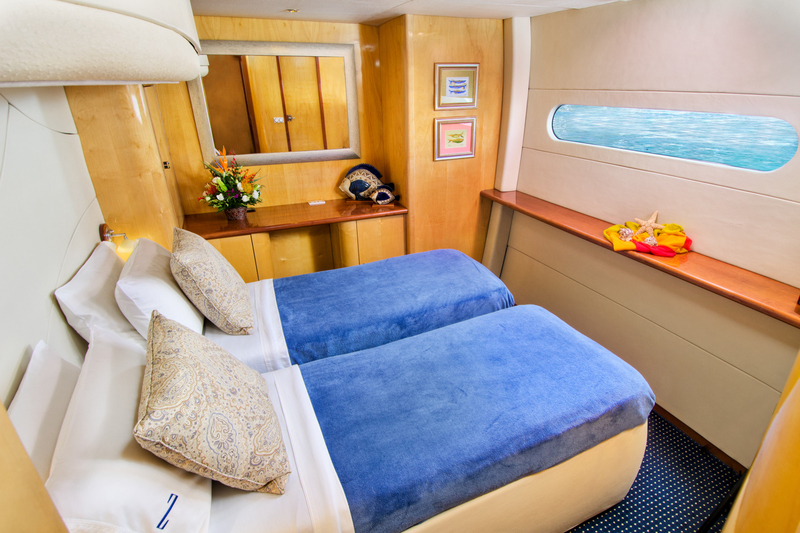 Catamarans yacht charters are spacious, comfortable, and loaded with toys. 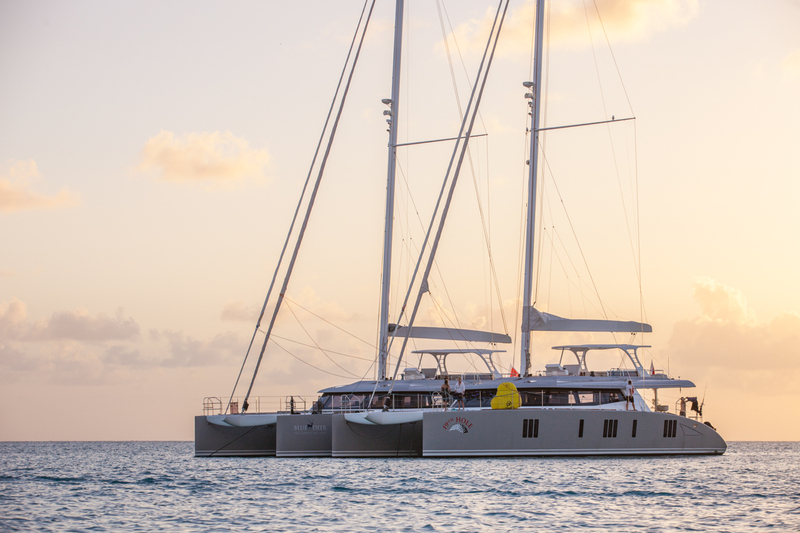 They are nearly twice as wide as a comparably sized sailing yacht. 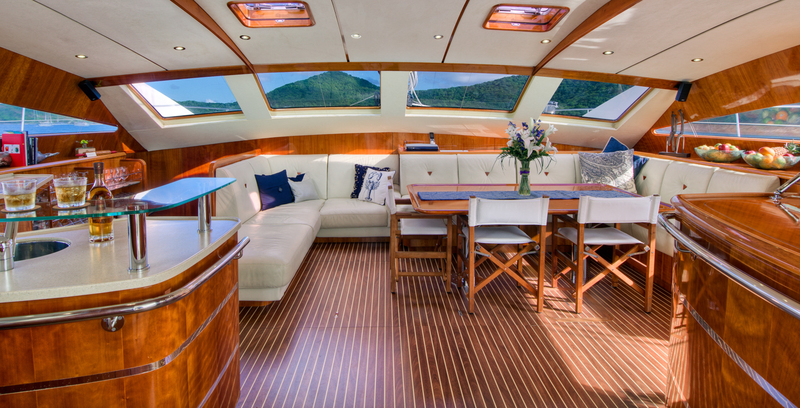 This wide width translates into good stability. 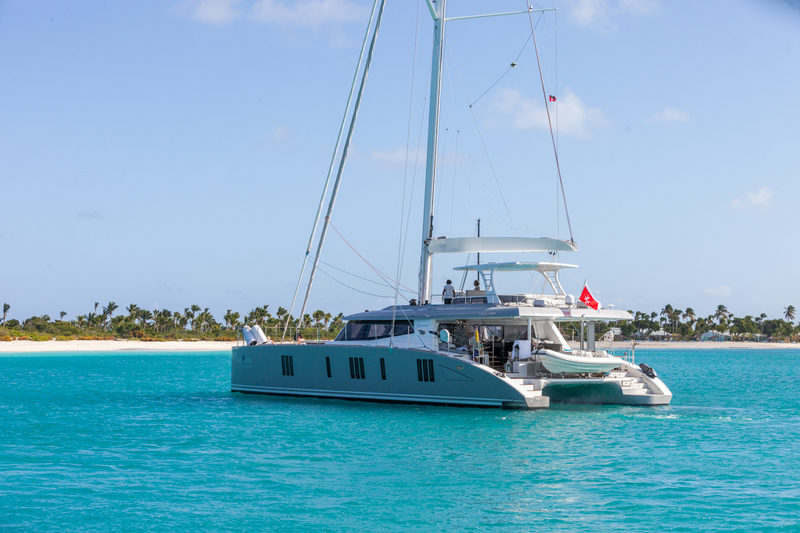 Since catamarans do not lean over when sailing, this sets you up for an easy transition from land to sea. 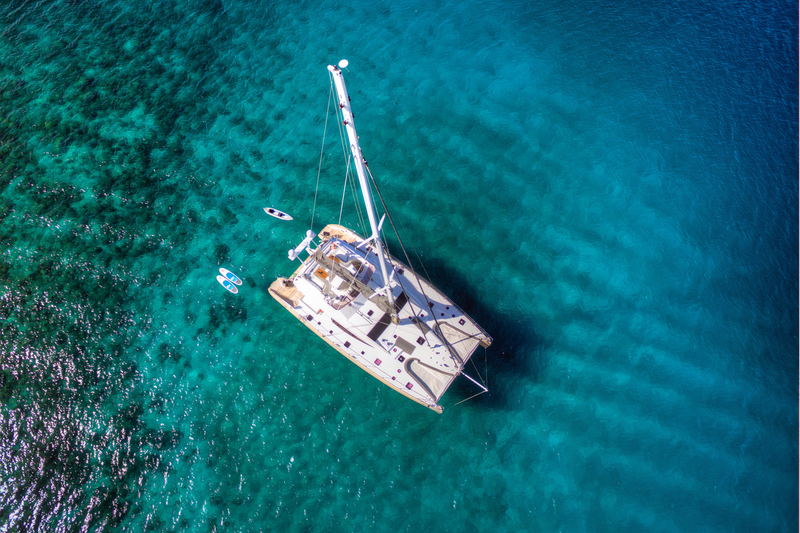 A landlubber’s dream. 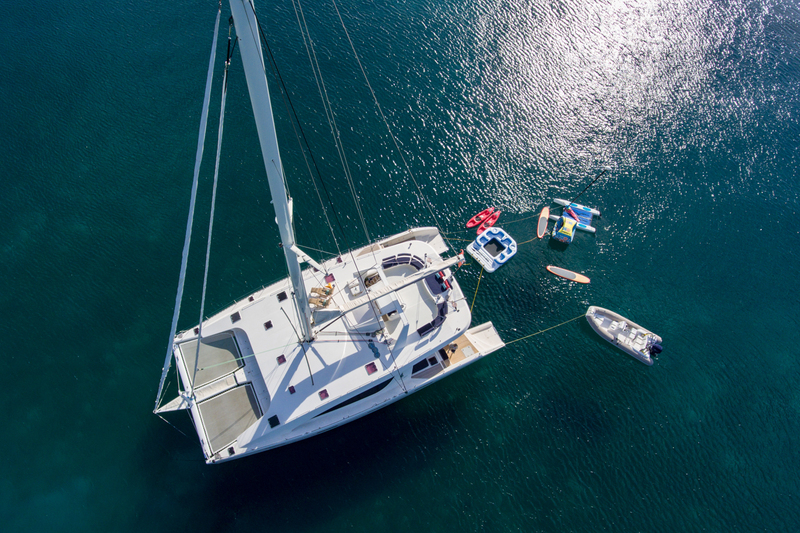 Get up-close and personal: Sailing Catamaran charters have a shallow draft, which means that their hulls do not extend very far under the water. 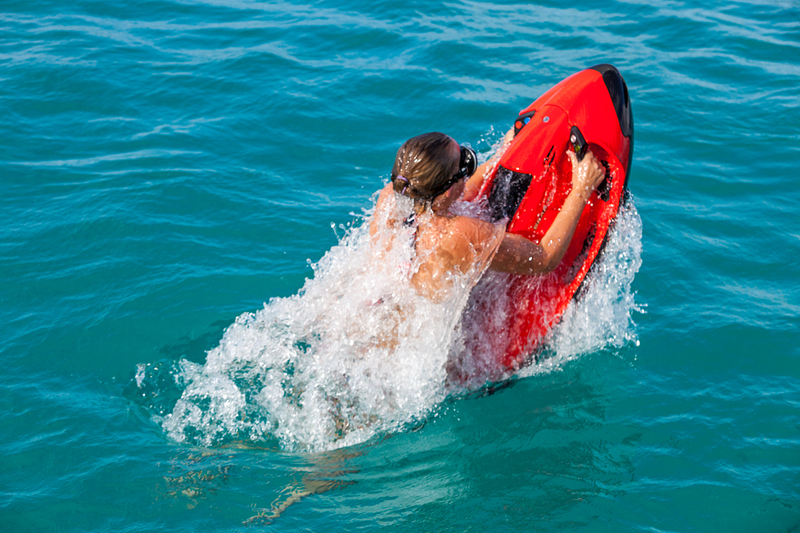 Why is this important? 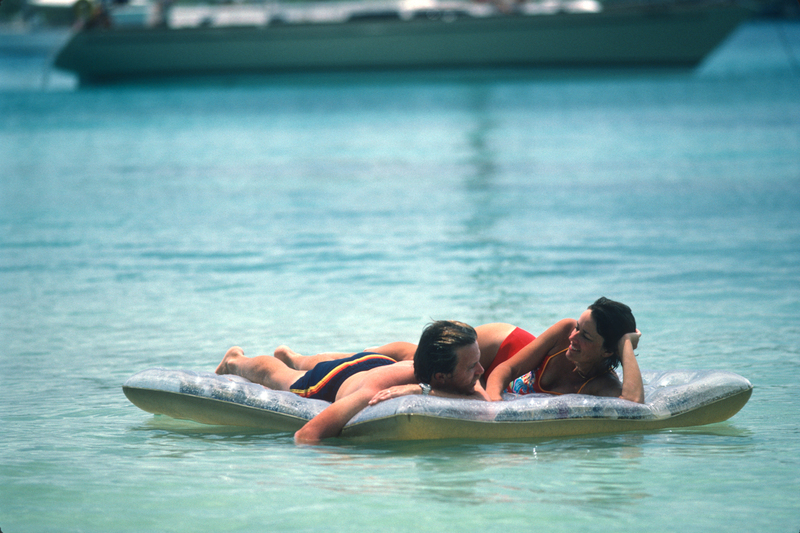 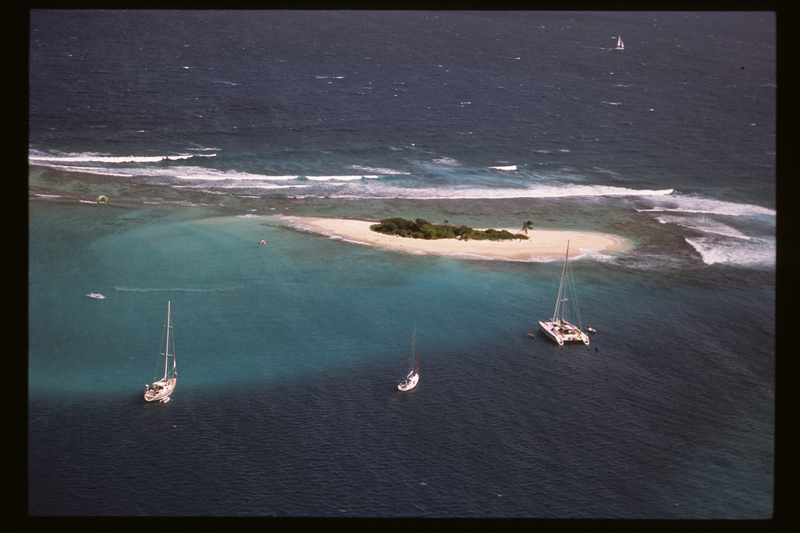 It means the captain can drop anchor within 20 breaststrokes of a beach for a short paddle to that sugar white sand. 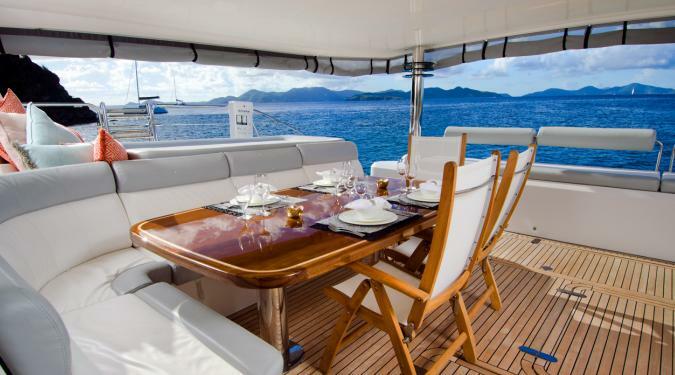 Plus you can sneak into an anchorage that monohull sailing yachts cannot access. 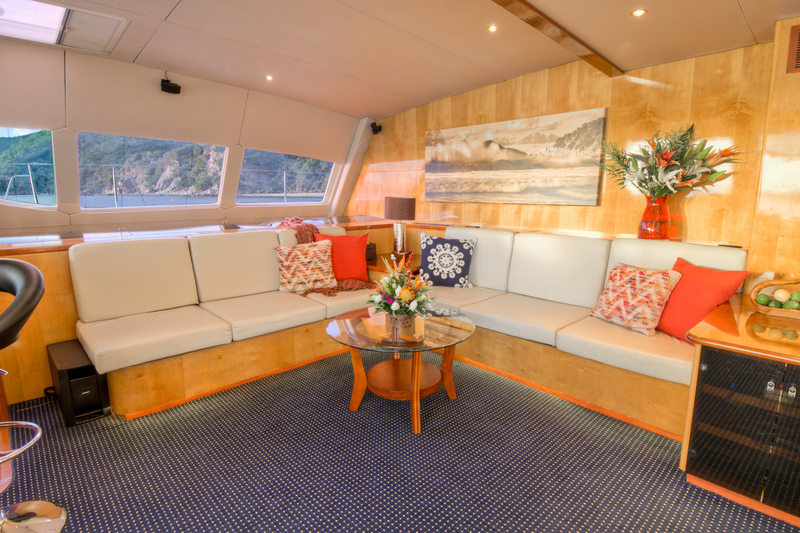 Loads of Deck space: Our sailing catamaran charter guests love the amount of deck space that a catamaran charter provides. 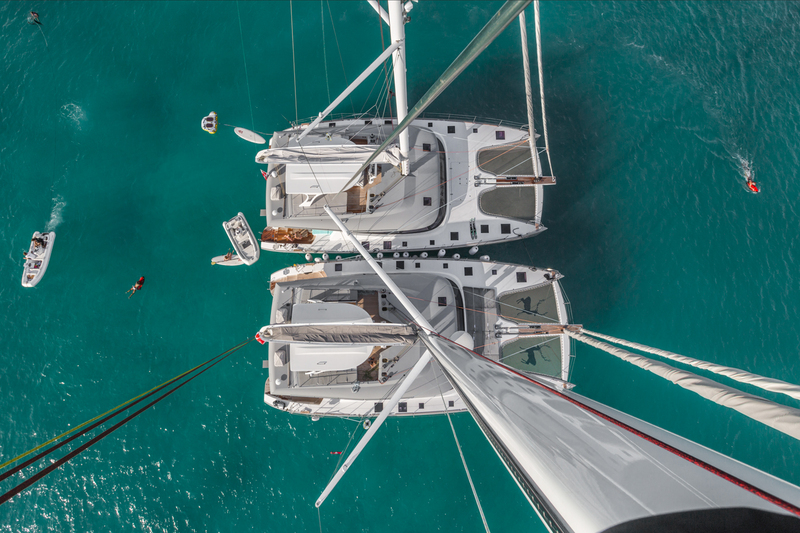 The forward trampolines are an exhilarating seat under sail with a tad of warm ocean spray splashing your skin. 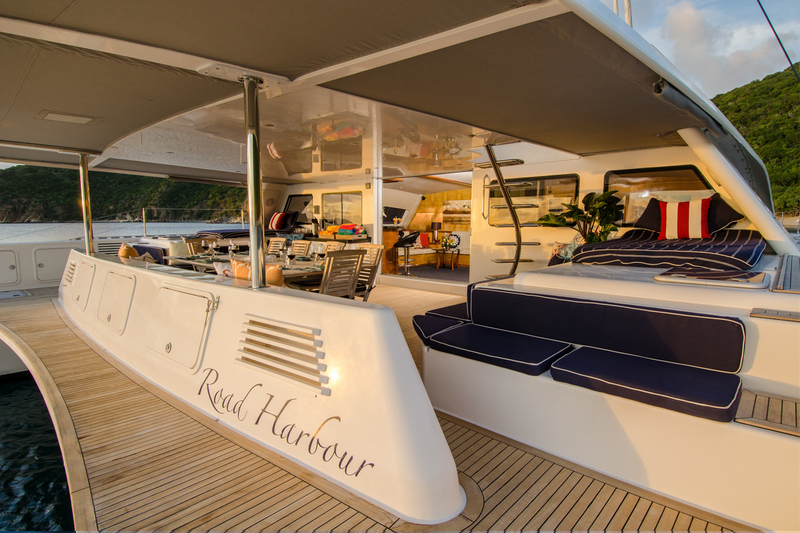 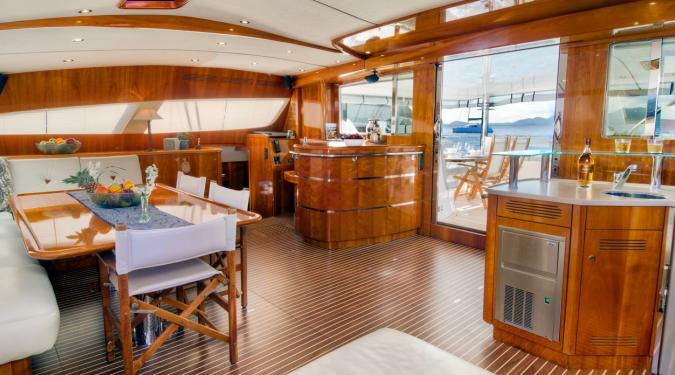 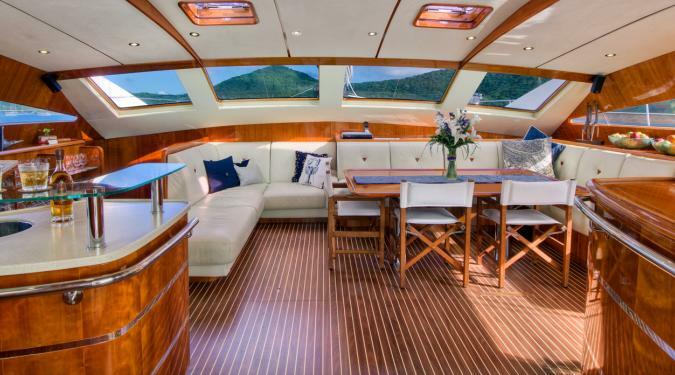 The shaded cockpit is a cool spot for catching a snooze, reading a book, or just hanging out with your yachtmates and enjoying the breeze. 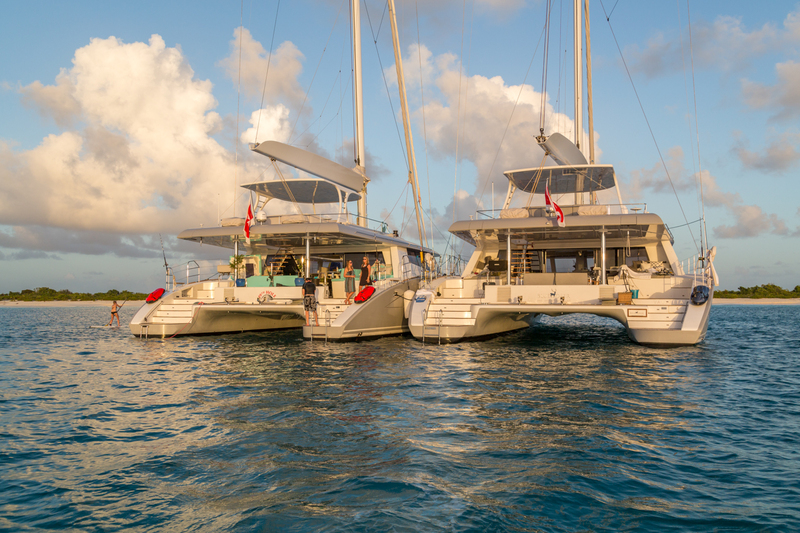 Easy water access: Accessing the water is easy with two sets of stairs on either side of the catamaran yacht charter. 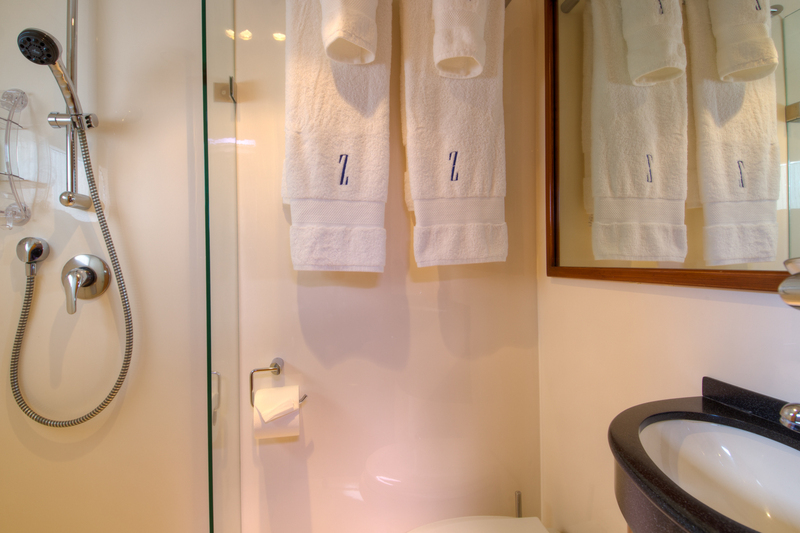 Apres swim, you’ll enjoy the convenience of an ondeck shower to rinse off the salt until the next plunge. 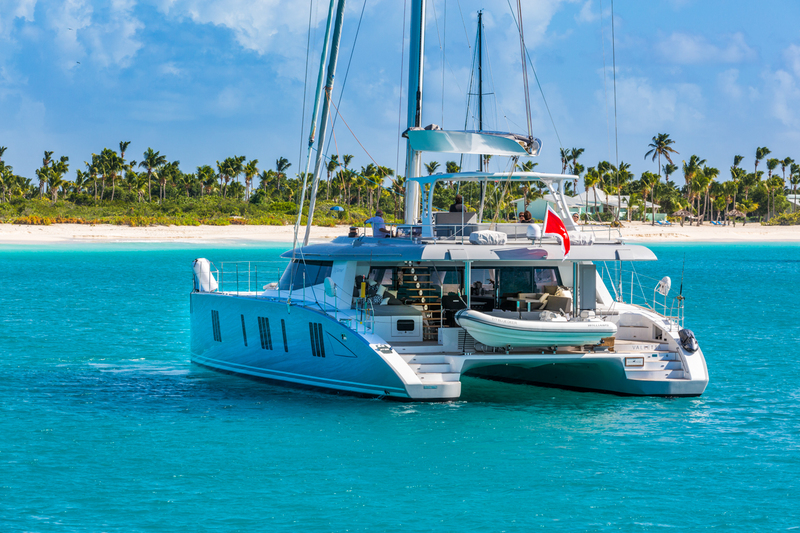 New Flybridge Catamaran Yacht Charters : Many of Ocean Getaways’ new sailing catamaran charters also have a “flybridge” which is a second deck. 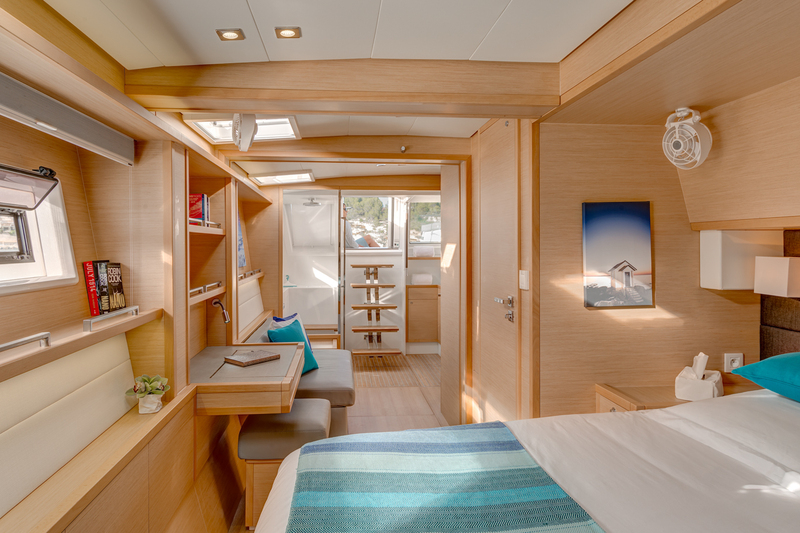 This not only adds more space for everyone to spread out. 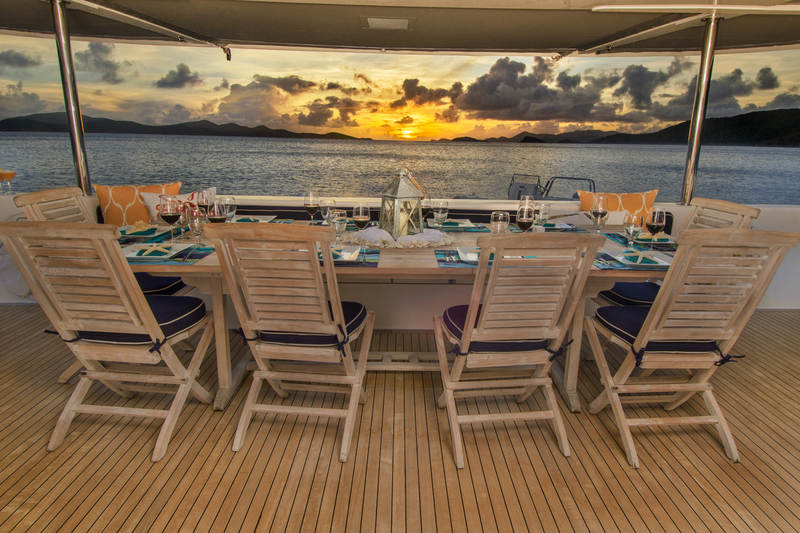 It also serves up a stunning 360 degree panoramic view of your pristine surroundings. 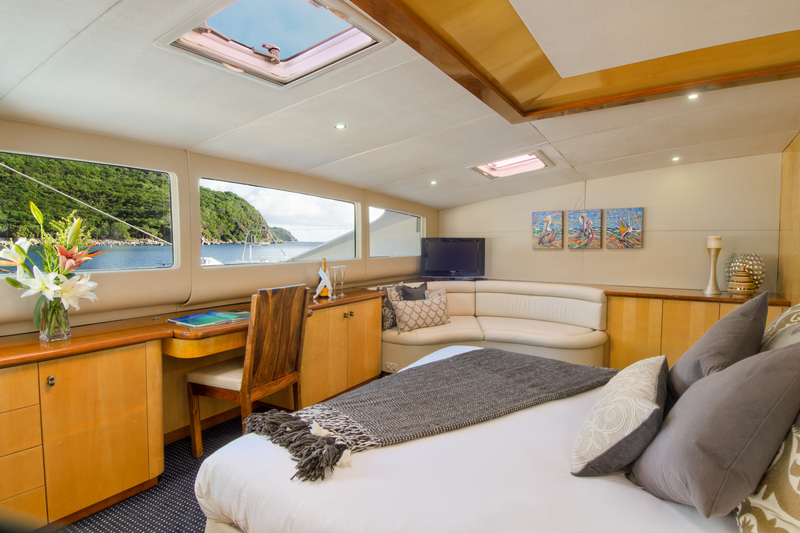 Some flybridges are large enough that you can stage a moonlight dance party or simply stargaze, relaxing and holding hands with the one you love who’s hopefully the one you’re with. 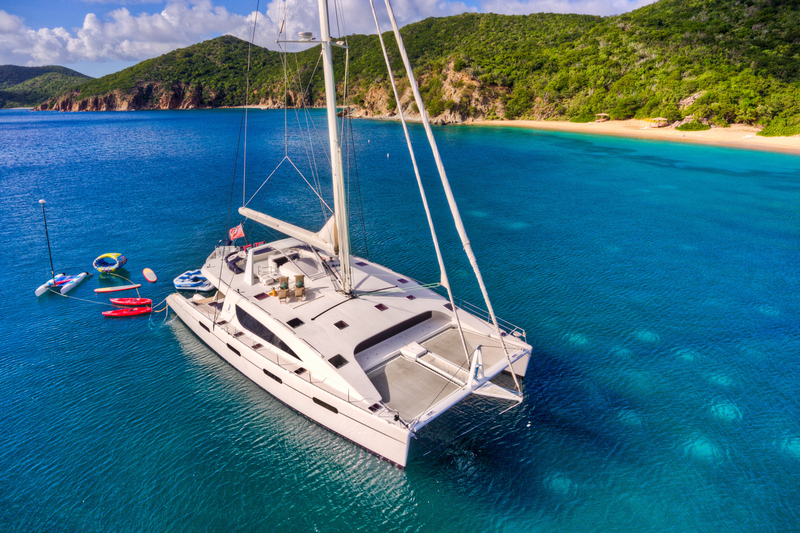 Size and Accommodations: Catamarans yacht charters range from 45’ to over 100’ in length with most of them in the 55-75’ range. 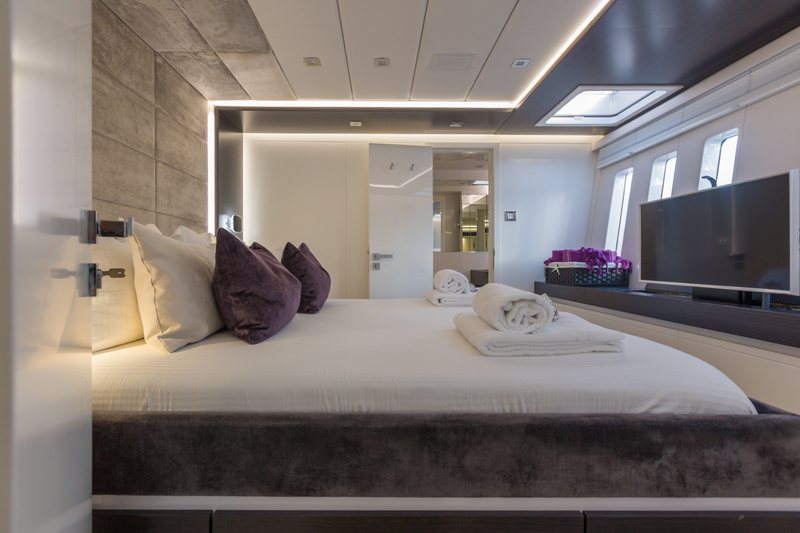 Although the interior layout varies with each catamaran, they typically have from 3 to 6 similar sized cabins with bathrooms en suite. 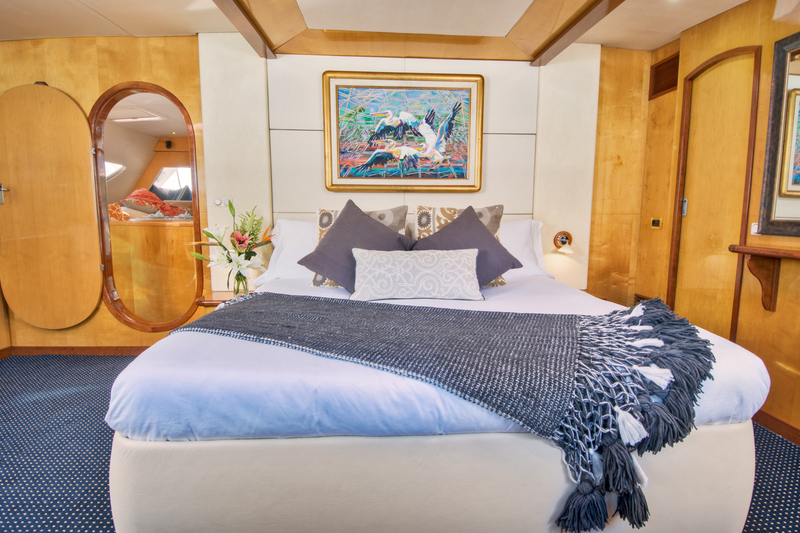 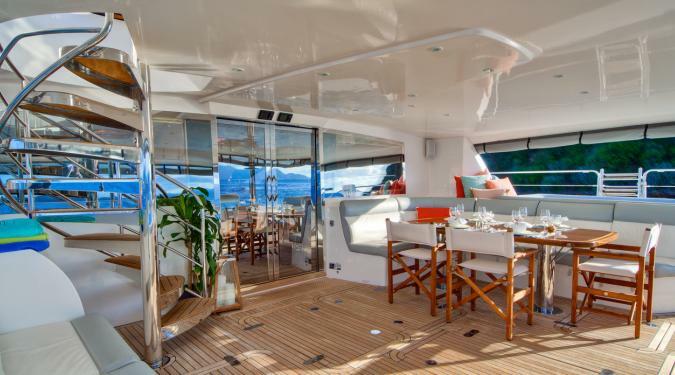 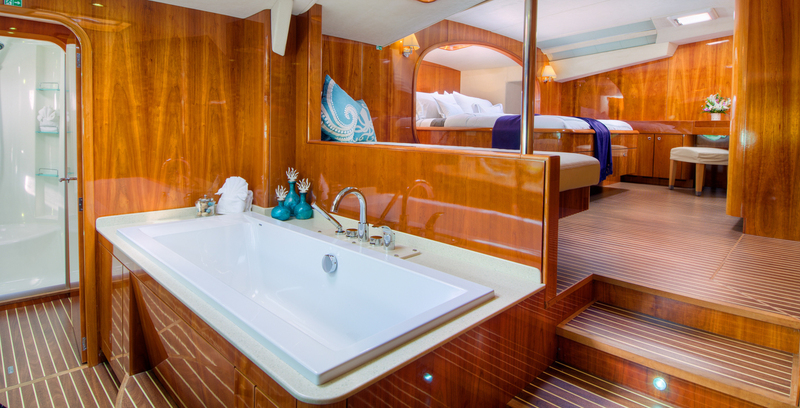 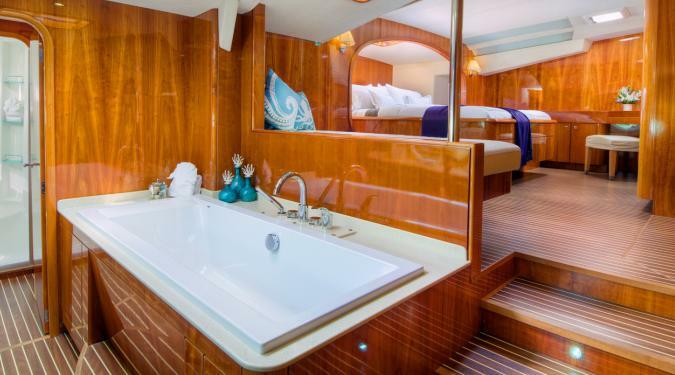 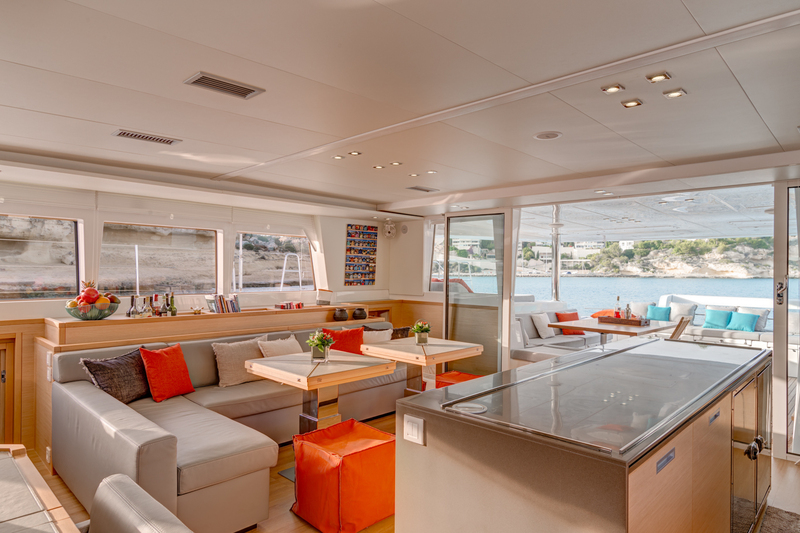 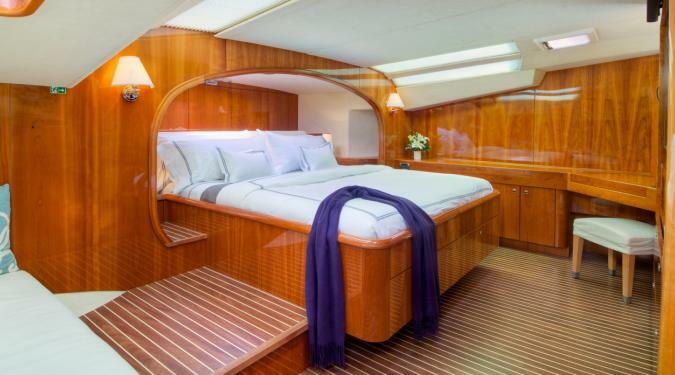 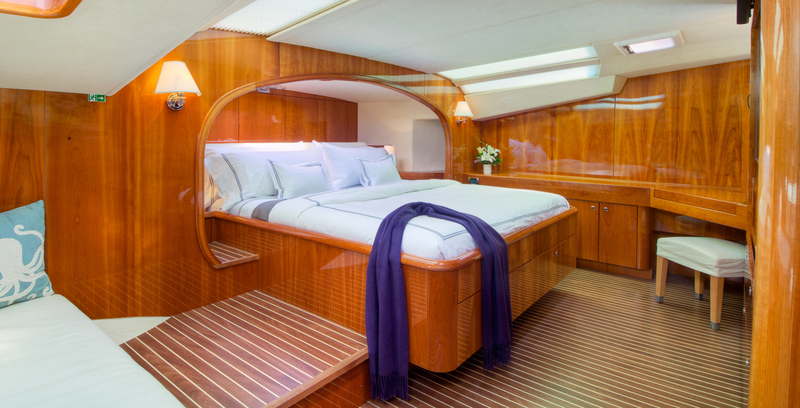 The cabins are located in different corners of the yacht, offering privacy and comfort. 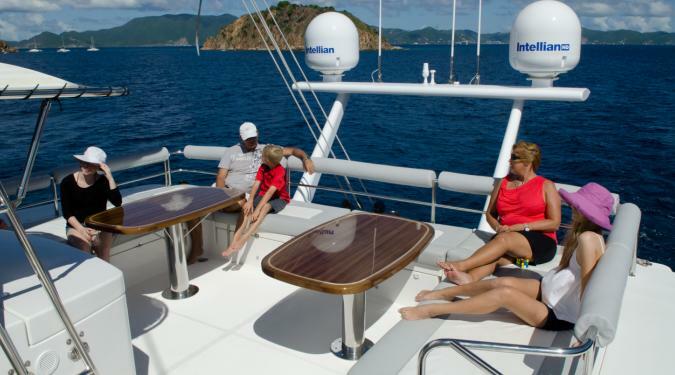 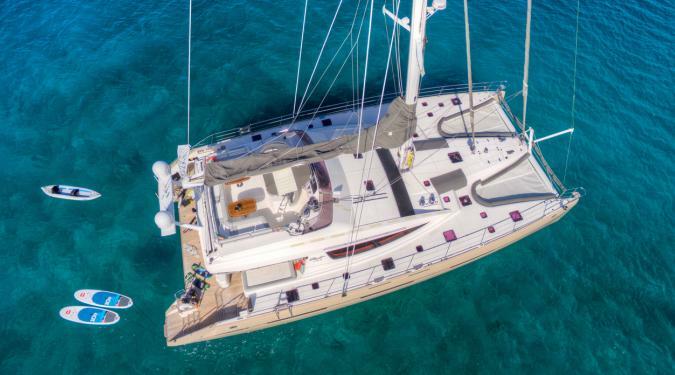 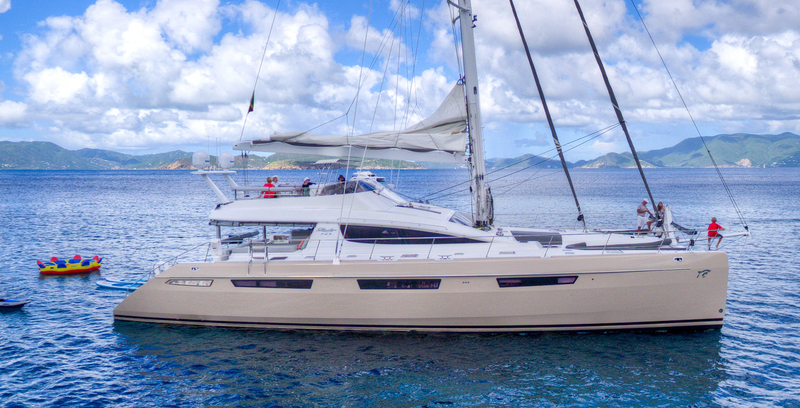 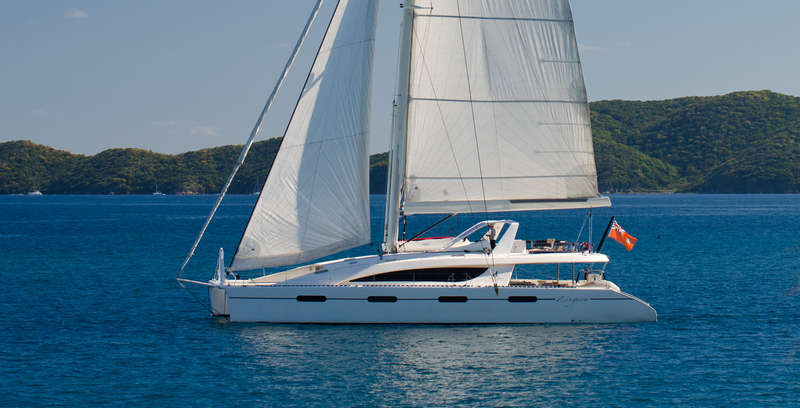 Some sailing catamaran charters have master cabins that are larger then the other cabins – ideal for families or charters where one person is hosting the group. 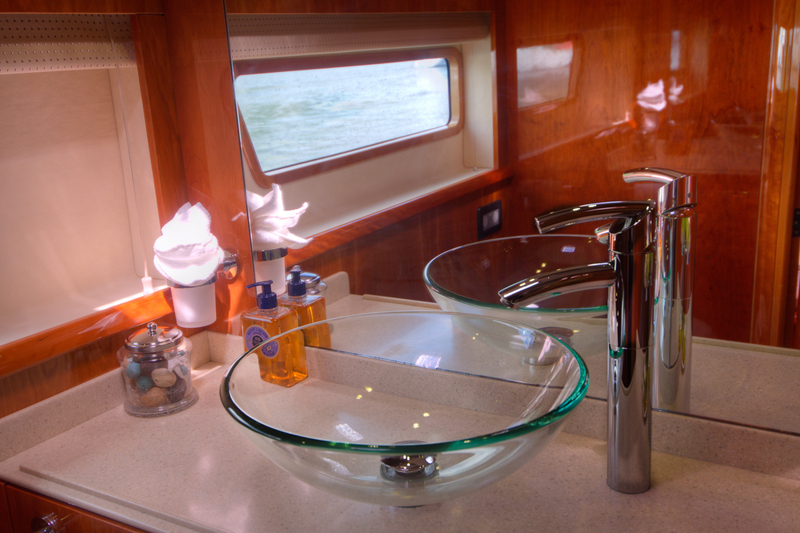 You’ll find entertainment centers in the salon as well as he cabins. 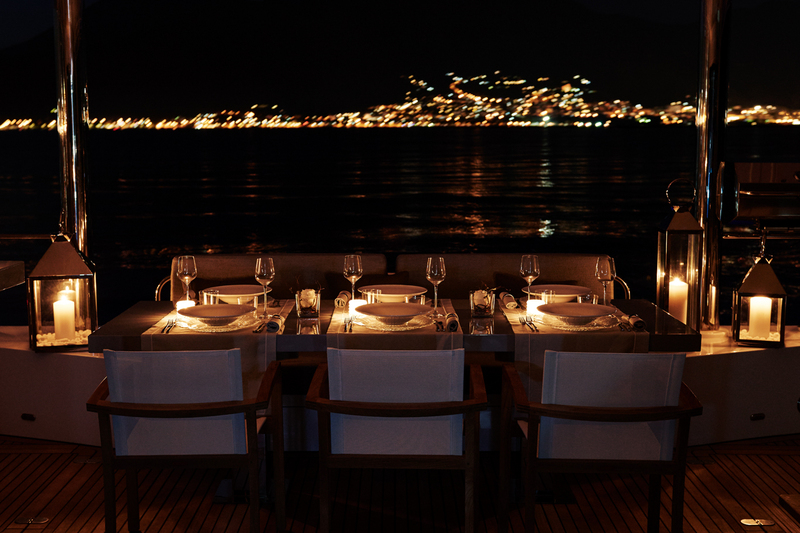 Some even have PlayStation or Xbox. 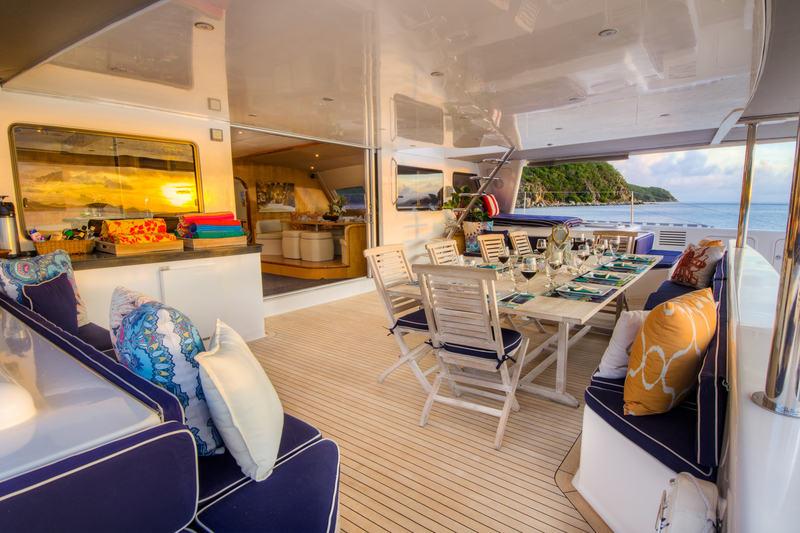 Personal crew: You’ll be pampered by an international crew of two including licensed captain and gourmet chef; one of the crew also serves as watersports instructor and guide; most catamaran yacht charters over 65' have 3-4 crew. 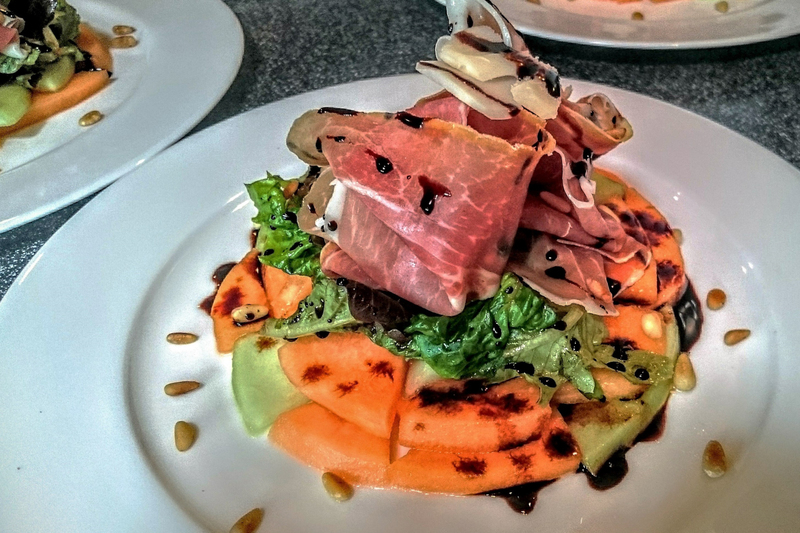 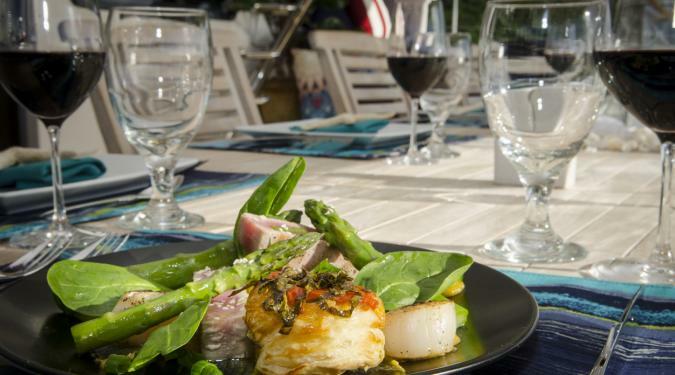 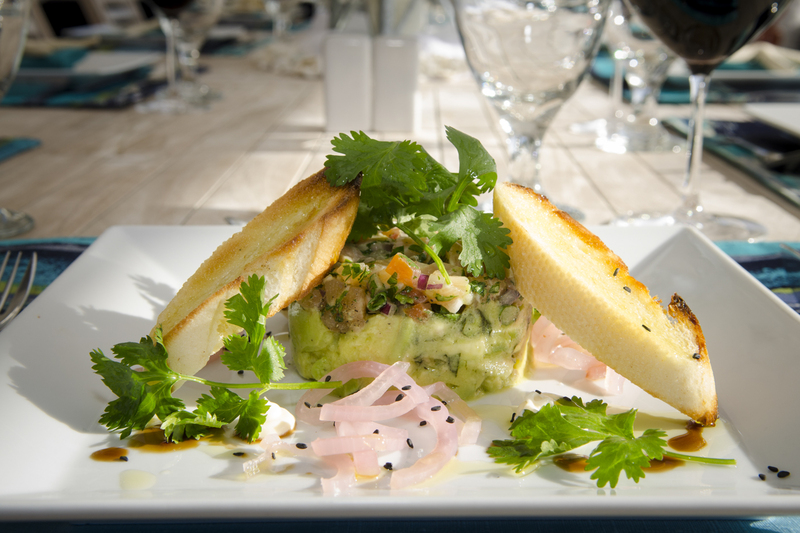 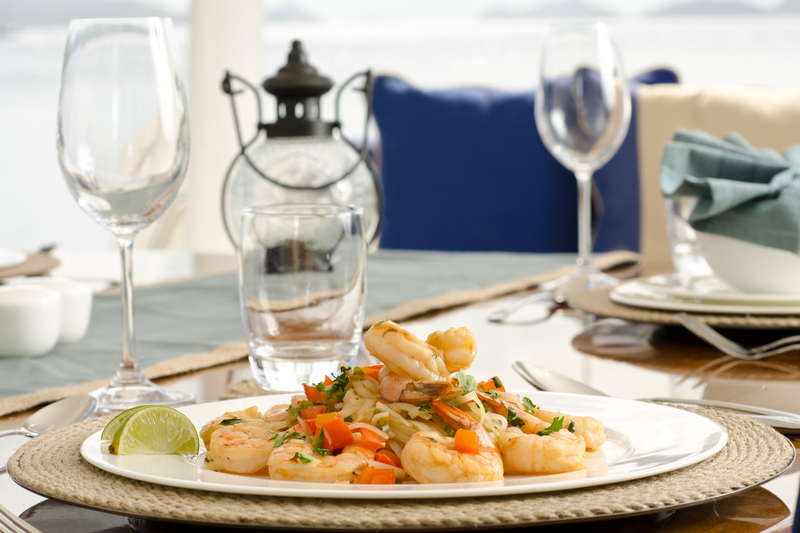 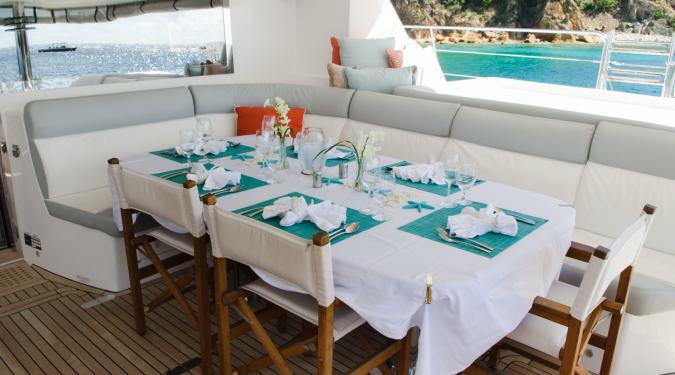 Dining Options: Some sailing catamaran charters have “open galleys” in the main salon where the chef works her magic right before your eyes. 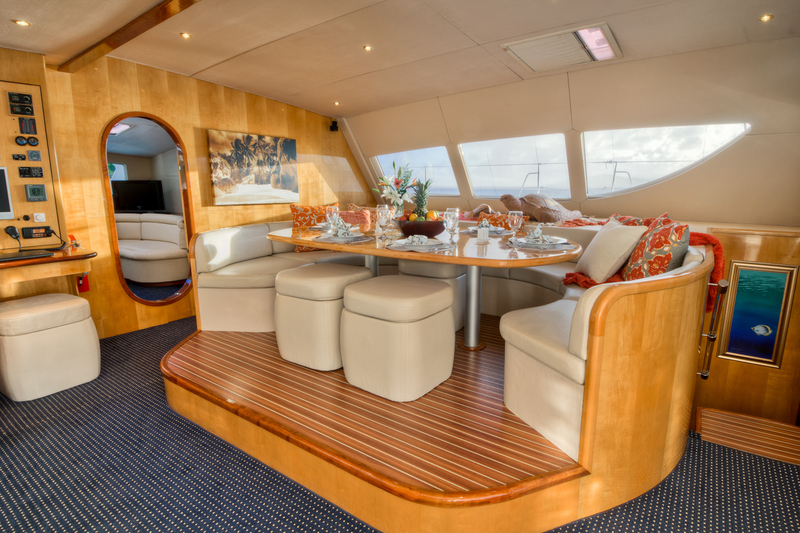 Other cats have galleys below deck where every meal is a surprise. 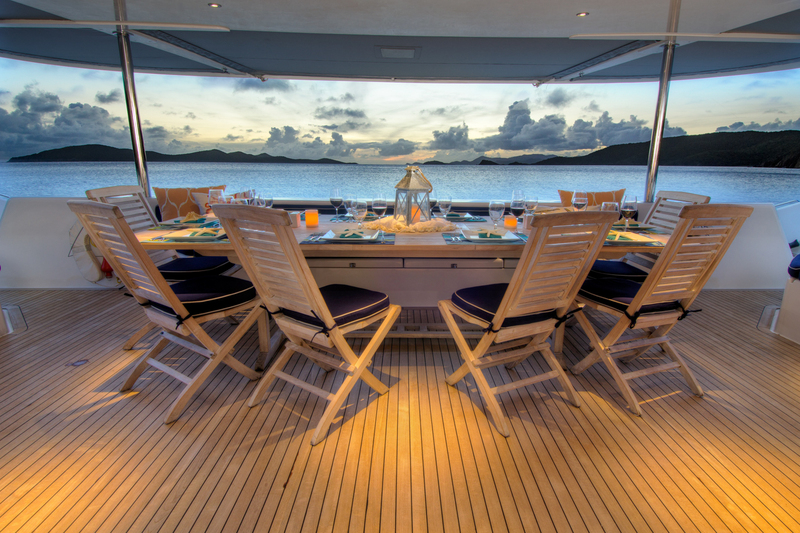 The salon also includes a dining area. 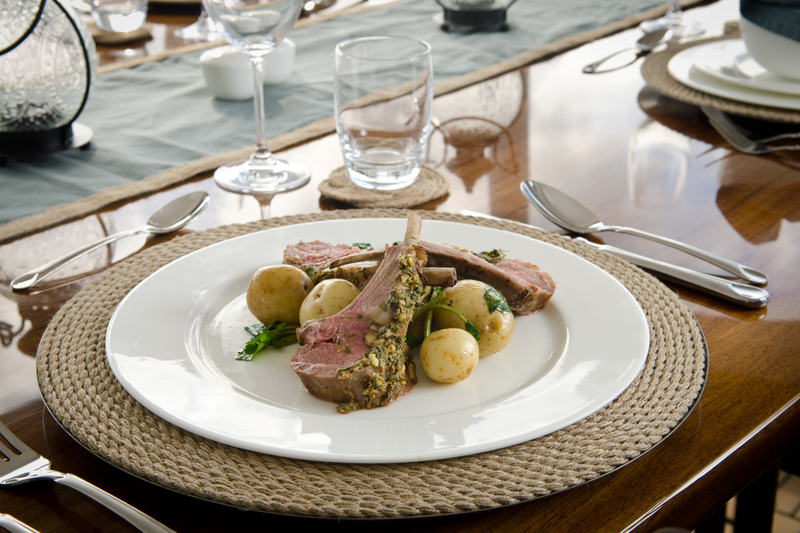 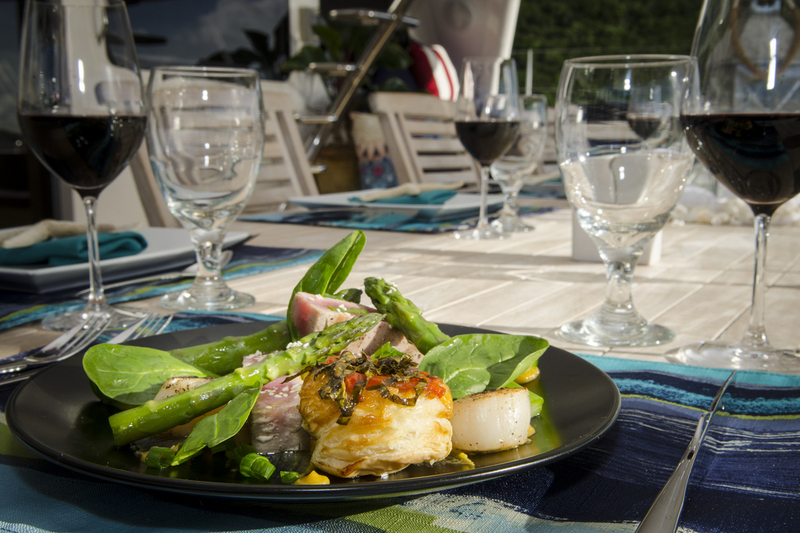 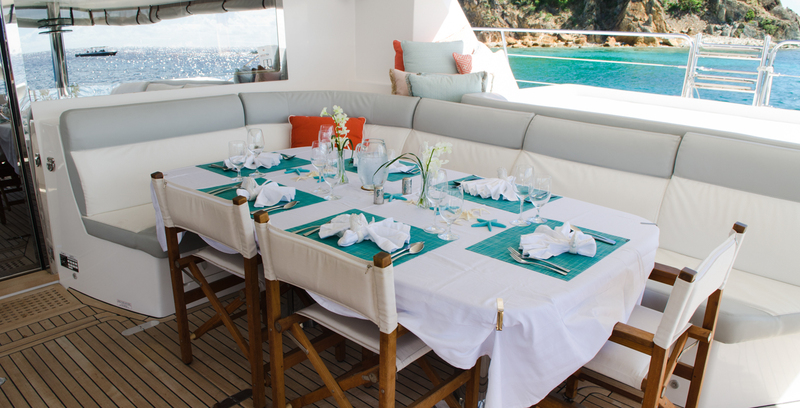 Although it’s lovely to look at, most guests prefer to enjoy their gourmet meals “al fresco” in the ondeck dining area, surrounded by azure seas. 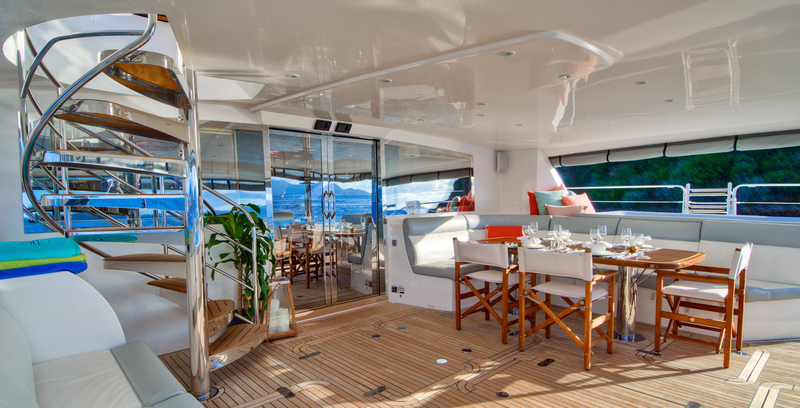 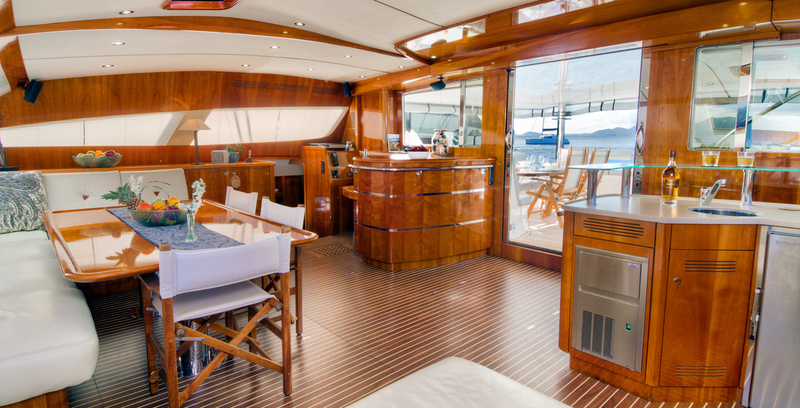 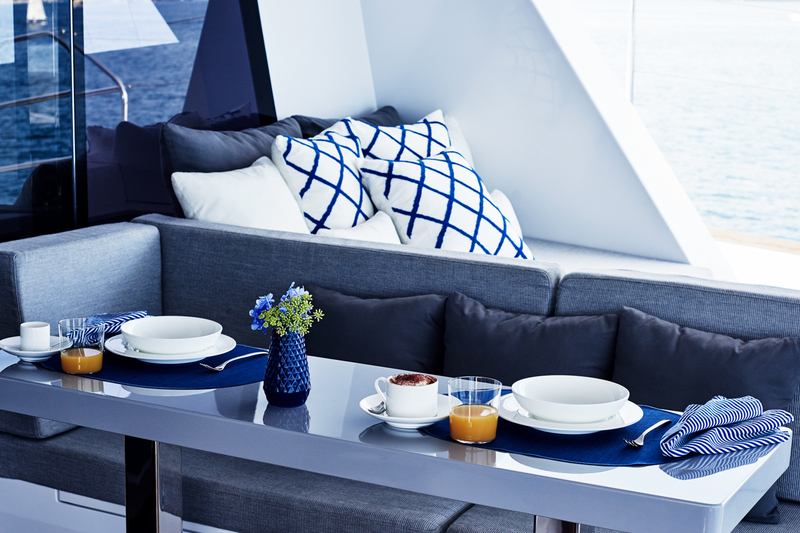 Our flybridge cats also offer a third casual dining area for Happy Hour. 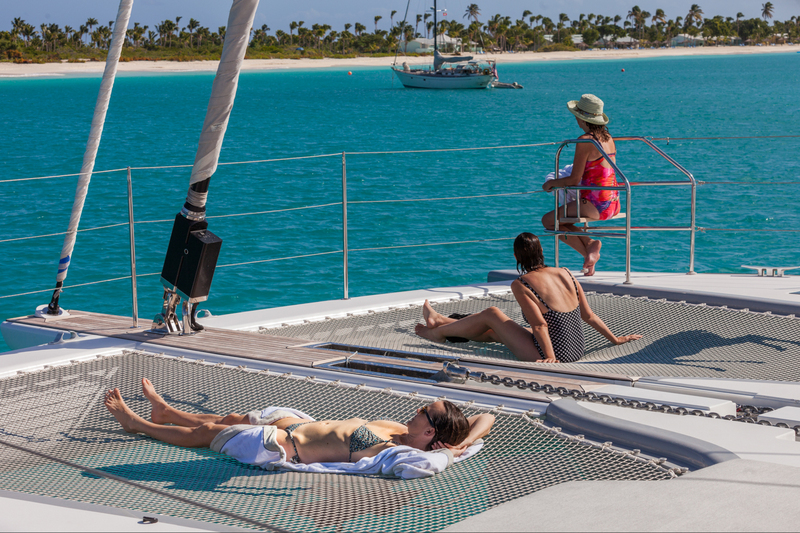 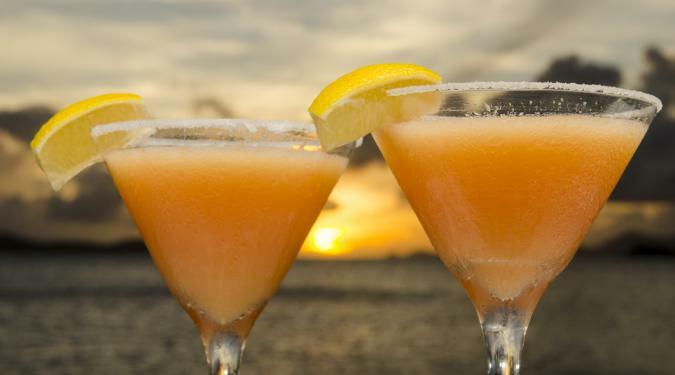 All-inclusive rates: Most Caribbean catamaran yacht charters have all-inclusive rates that begin at $300 pp/day for superior accommodations; $400-500 pp/day for deluxe; and $600 and up pp/day for ultra-luxe. 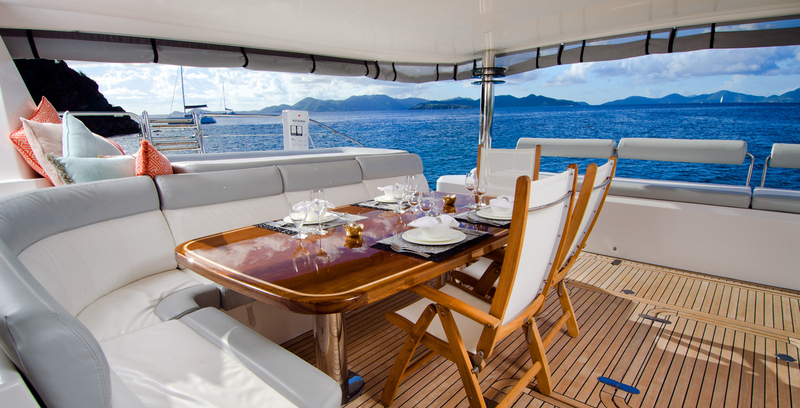 All price ranges offer the same fun quotient and the same surrounding waters. 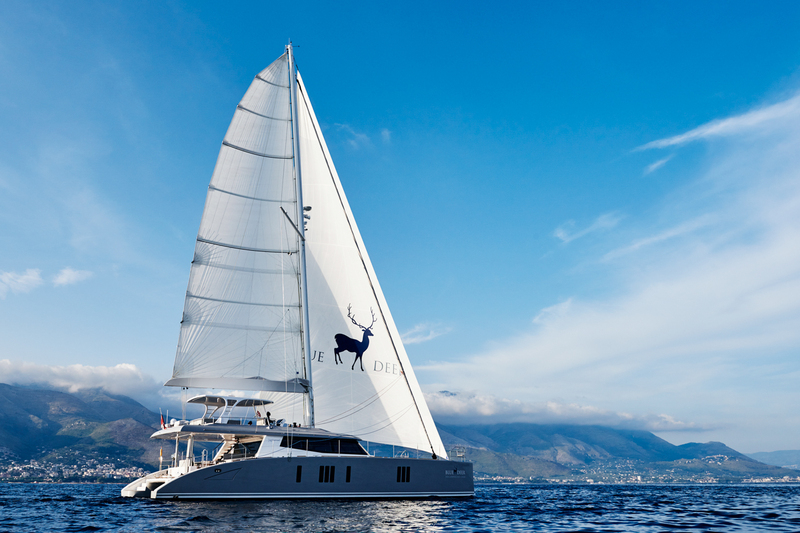 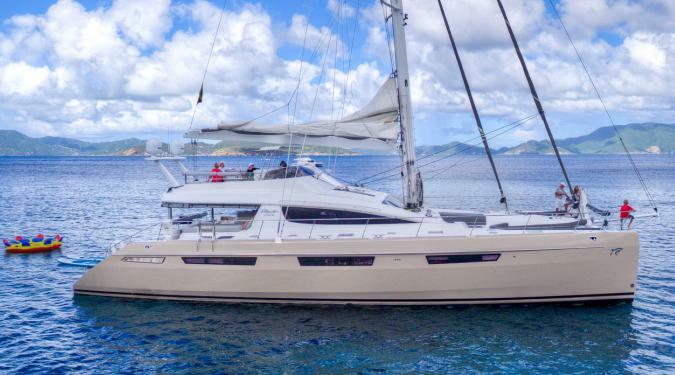 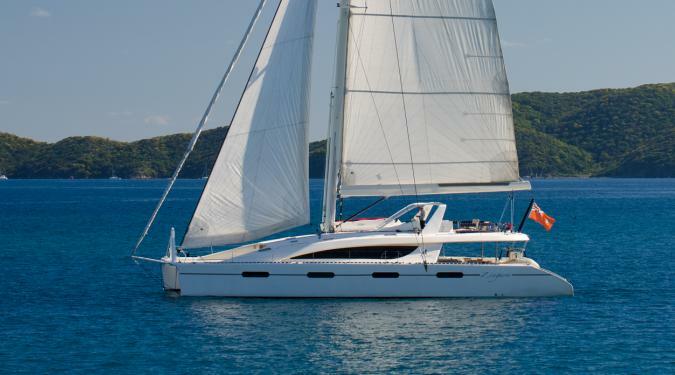 As the price range increases, the service, the level of luxury, the toys and amenities, and the number of crew aboard sailing catamaran charters also increases. 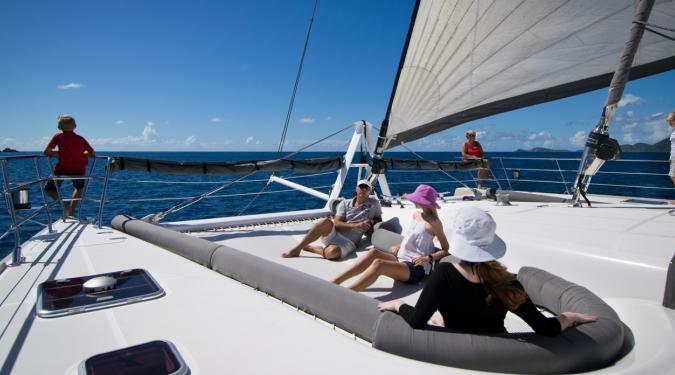 Never sailed before? 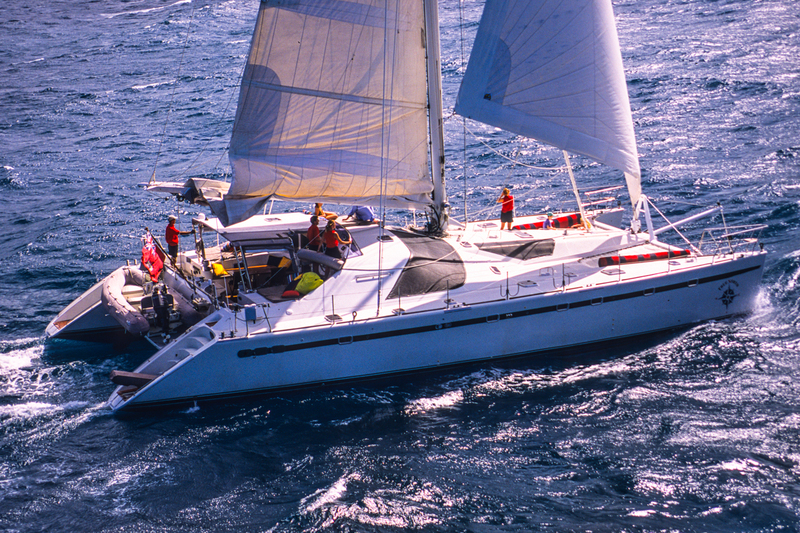 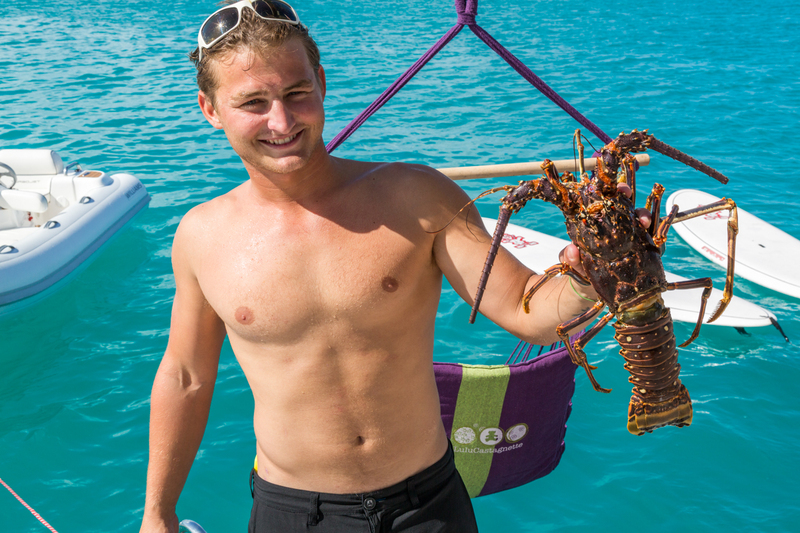 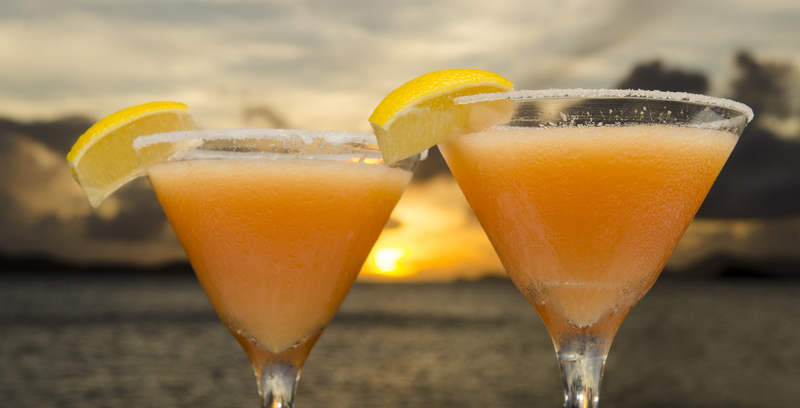 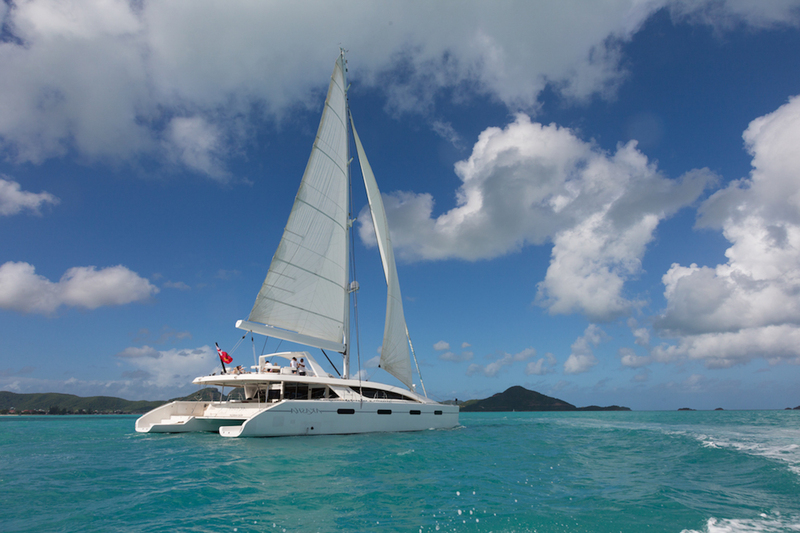 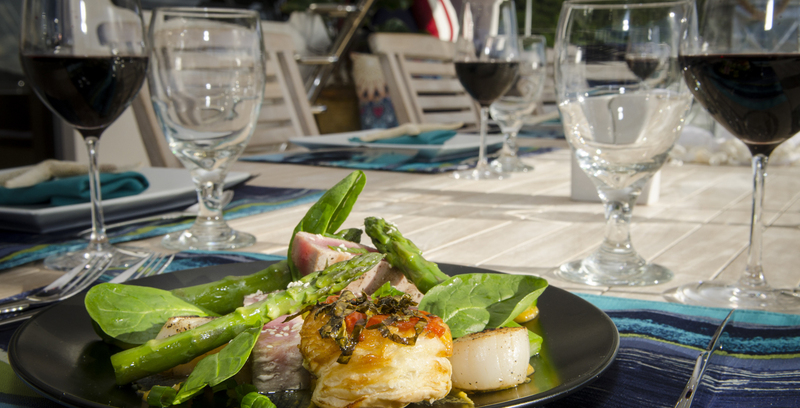 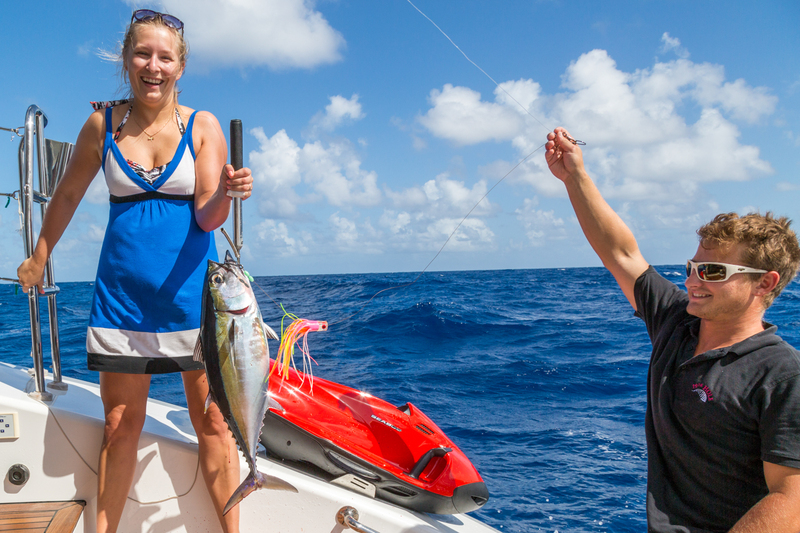 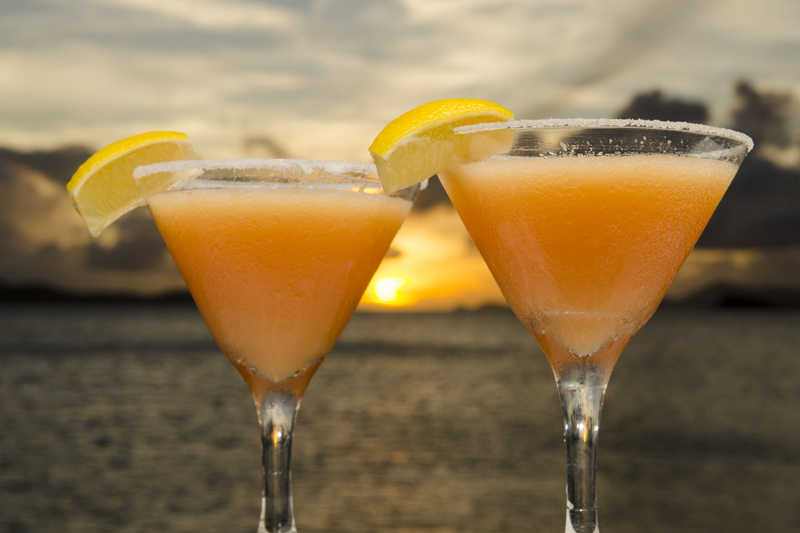 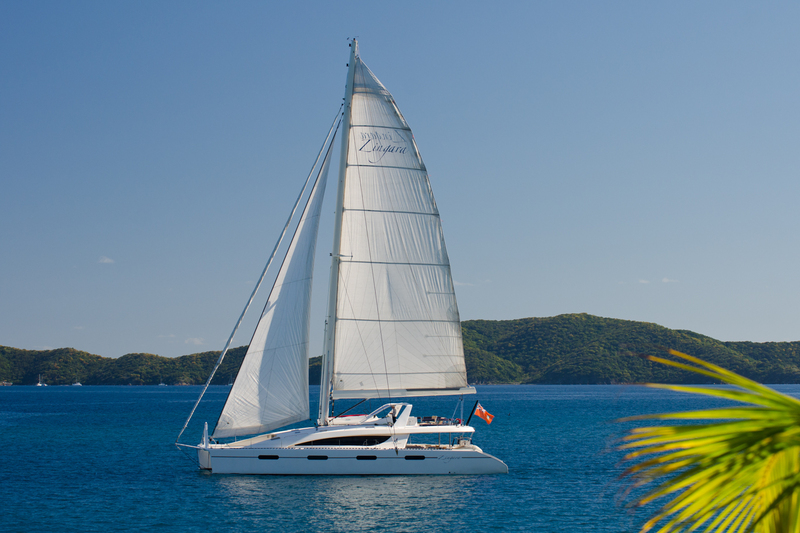 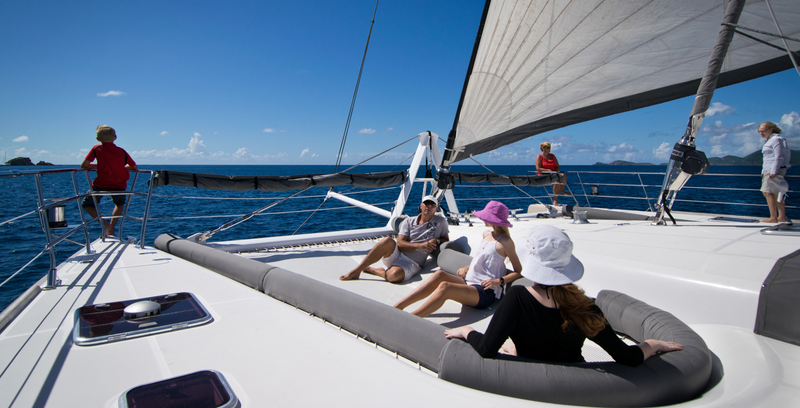 About 80% of our charter clients had never stepped foot on a yacht before sailing with us. 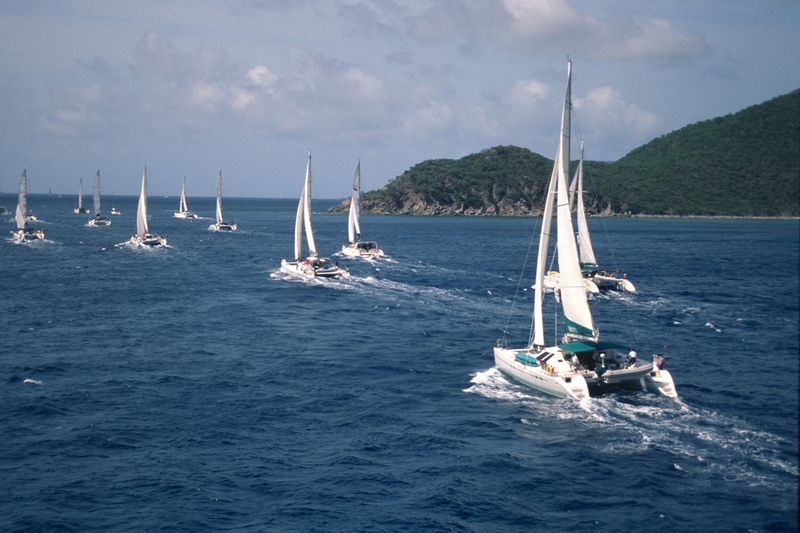 Now they repeat again and again. 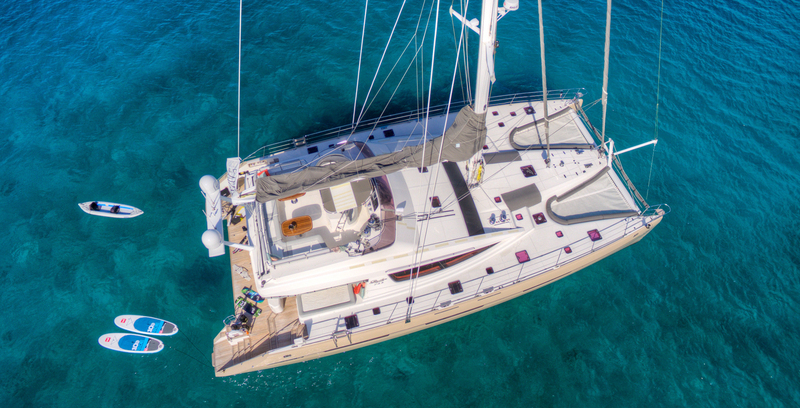 A Typical Example of a Sailing Catamaran Yacht Charters Deck Plan. 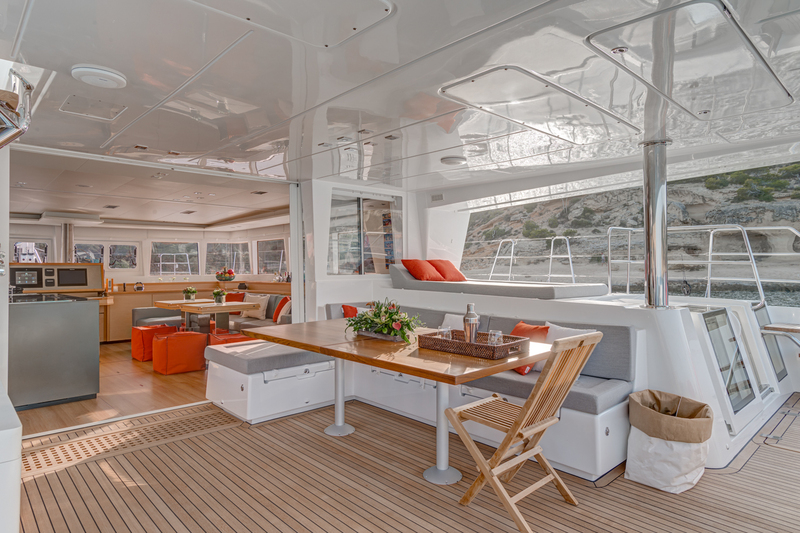 Deck Plan shown is for the yacht named Blue Deer, a 74 foot yacht built by Sunreef in 2015.